The SMLE (sometimes pronounced “smelly”), or “Rifle, Short, Magazine, Lee-Enfield”, to give its full designation, entered British army service in 1904. This replaced the MLE (Magazine Lee-Enfield, sometimes pronounced “Emily”), which had been produced in long (with a 30.2″ barrel) and carbine (21.2″ barrel) versions. The new rifle was designated “short” because its barrel length was 25.2″, mid-way between the long rifle and the carbine. The short length was controversial. Many people believed the new rifle’s short barrel would make it too inaccurate. In Canada, the Ross rifle was adopted for service instead of the SMLE, partly for this reason. A long bayonet (known as a “sword bayonet”) was issued with the rifle, to compensate for the shorter length when fighting in close combat. The SMLE proved its worth during World War I, especially in comparison to the Ross, which had been championed by some of the SMLE’s detractors. In the trenches, Canadian troops discovered that even small quantities of dirt would jam their rifles, sometimes resorting to kicking the bolt in an attempt to move the action. The British, on the other hand, found that the SMLE handled the challenging conditions well. Some Canadians at Ypres replaced their rifles with SMLEs from British casualties, and by July 1916 orders had been given for all Ross rifles to be replaced with SMLEs. The Ross was retained for training, and for use by snipers, where its accuracy at long range was particularly valuable, although operators noted that the ammunition had to be completely clean before loading. In 1907, the SMLE Mark III was introduced, along with the Pattern 1907 sword bayonet. This had multiple small improvements, and many older models were upgraded to the Mark III standard. Large numbers of casualties in World War I led to a huge demand for rifles, and so the design was simplified by the removal of various components such as the magazine cut-off, long-range volley sights, and windage adjustment. This became the Mark III*. As existing parts were used up, some rifles were delivered with only some of the components removed. In addition, production of rifles and rifle components was contracted out to various companies to enable demand to be met. 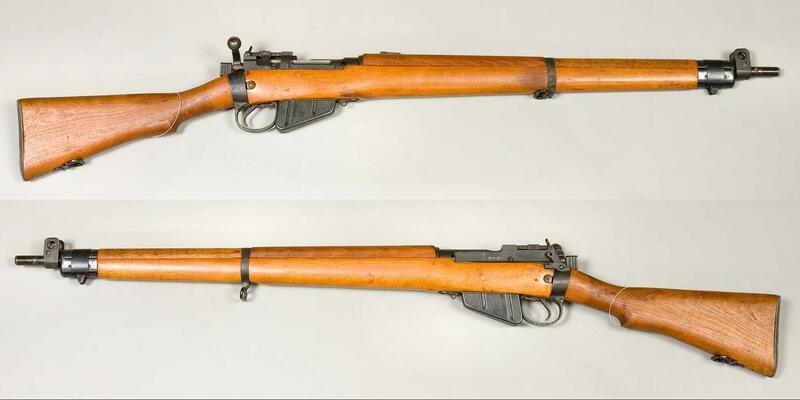 The British army changed the way it named rifles in 1936, and the SMLE Mark III* became the Rifle No.1 Mark III*. In the early 1930s just over 1,000 Mark VI rifles were produced. These had a floating barrel, which improved accuracy. The SMLE saw extensive service in World War II. It was the standard rifle of the Australian and Indian armies throughout the war, and remained in Australian service until the late 1950s, when it was replaced by the L1A1 SLR. By 1939, the new Rifle, No.4 Mark I was starting to be issued, although it wasn’t formally adopted for service until 1941. This had the same floating barrel as the No.1 Mark VI, but had a number of changes to simplify manufacture, making it easier to mass produce. The barrel extended from the end of the forestock, and a simple spike bayonet (nick-named the “pigsticker”) was issued alongside the rifle. Some further refinements were made to make mass production even easier, resulting in the No.4 Mark I*, which was only manufactured in Canada and the USA. A blade bayonet was also developed, originally intended for the Sten sub-machine gun, but since the Sten had the same bayonet fitting as the No.4 rifle, the new bayonet was issued for use with both weapons. A carbine version of the No.4 was developed, designated Rifle, No.5 Mark I. Although it became known as the “Jungle Carbine” it was first issued to the British 1st Airborne Division, who used it in Denmark and Norway. It was subsequently used in the far east. 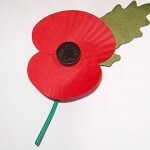 It was popular with troops that valued it’s lighter weight and shorter length. There were problems with recoil and accuracy, and so production ended in 1947. Some No.1 and No.4 rifles were modified for use by snipers. The Australian army modified a number of No.1 Mark III* rifles with a target barrel, cheek piece and telescope. These were designated SMLE No. 1 Mk. III* (HT), and saw service in World War II, Korea, and Malaya. During World War II, some No.4 rifles were selected for their accuracy to be modified with the addition of a cheek piece and mounting for a telescope. These were designated Rifle, No.4 Mark I (T). When the British military switched to the NATO standard 7.62mm round, these rifles were converted to fire the new round, and became the L42A1. The L42A1 remained the standard British sniper rifle until the mid 1980s.